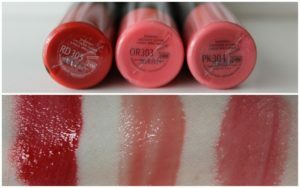 This gloss from Shiseido is well-known for its high-shine payoff, and it didn’t dissatisfy. The doe-foot applicator is elastic so it makes application easy, and delivers a sheer tint of color — just don’t expect the full wash of color that you see in the tube. However, it wasn’t as sticky as the glasses of yesteryear, and the wash of color truly stays on the lips for a couple of hours before any require for touch-ups. Accessible in eight shades. Shiseido Lacquer Gloss ($25.00 for 0.25 fl. oz.) is a new formula that’s defined as having “vivid clear color” as well as “profound moisture,” while the applicator is supposed to permit you to apply with “no streaks.” I bought two shades, electing for the violet-color (as I’m always on the hunt for a delectable purple gloss) and a red (figuring it would be most probable to perform the best) — I try to choose shades that might work well and horribly, if I don’t have the entire range to test, to get some idea about complete performance. The gloss is lightweight, non-sticky with a hybrid cream-gel steadiness– a rather soothing feel on the lips–and nicely hydrating. While the wear time diverse for me between the two shades, but it was a little extensive than the average gloss. The gloss had no apparent scent or taste. The price point, quantity, and complete quality make this a worthwhile formula. Freshly released from Shiseido this spring, the Lacquer Glosses are an 8 strong gathering of lip lacquer/lip gloss hybrids and I’m hoping they carry out more shades this year because they’re actually something special. Packaging is lightweight and this makes me happy as a lot of the time I like to core in my bag as I’m walking down the street and it creates for easy pickings. 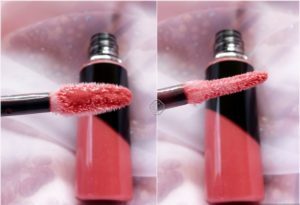 The applicator is flat on both sides and lies flat on the lips once you’re applying the product and means you can acquire the precise application. Speaking of the product, the formula is fanciful. It’s lightweight, not sticky and feels similar to silk on the lips. Stimulated by Japanese lacquer, each shade has a high gloss shine and the more coatings you apply, the more passionate the pigmentation. So you can either go lightly or pack a bit more punch in the color department. Shade RD305 Lust is a warm orange toned red that’s wearable, flattering and one of those staple reds for me. It warms up my skin tone nicely and as it’s the most vibrant of the three shades, I was thankful for the accurate applicator which meant I could get nice clean edges on the lips. OR303 in the Flesh was made for me. Though it looks really peachy in the tube, once applied to the lips, it turns into The Faultless Everyday Gloss. It is carried in my handbag, then place on my desk at work, then back into the handbag and it’s not a creamy opaque peach shade which can tend to assemble in the lines on the lips, In the Flesh just provides a hint of peachy goodness to the lips along with a shine.